Two Arabs infiltrate army base and steal weapons from sleeping soldiers. Suspects caught, but attempts still underway to locate the weapons. Masked figures infiltrated an army base in the Golan Heights early this morning and stole the M-16 rifles of two soldiers while they were sleeping, Channel 2 reported. The incident occurred after two masked men infiltrated the abandoned army base and crept into one of the rooms, where an officer and his three soldiers were sleeping. The soldiers had been stationed at the base as a security force. Initial investigations found that the weapons were stolen from under the pillows of two of the sleeping soldiers, where they had been placed as a security measure. Investigations also found that the soldiers awoke as the suspects were leaving the room and gave chase, but the heavy fog caused them to lose sight of the suspects. Following the incident, soldiers and police undertook extensive searches for the suspects, who were eventually caught when their vehicle was identified driving in a suspicious manner near Rosh Pina in northern Israel. 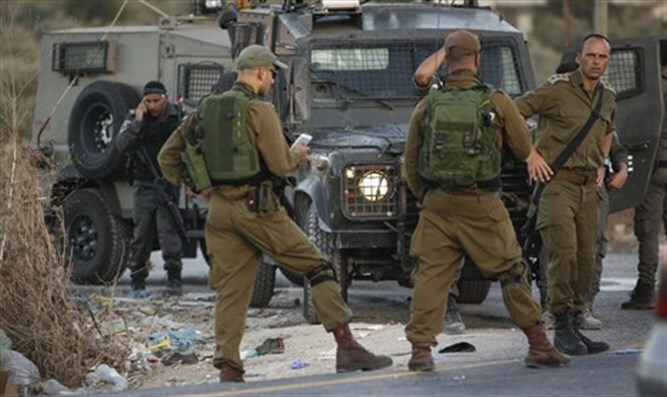 They were identified as two Arabs from the village of Tuba Zangria in northern Israel. The weapons, however, were not found, and forces are now attempting to locate them.